BioWare are hard at work on another game for EA. Obviously, it’ll be an RPG – that’s kind of their thing – but it will have an action focus and multiplayer elements. Oh, and it’s not Dragon Age. 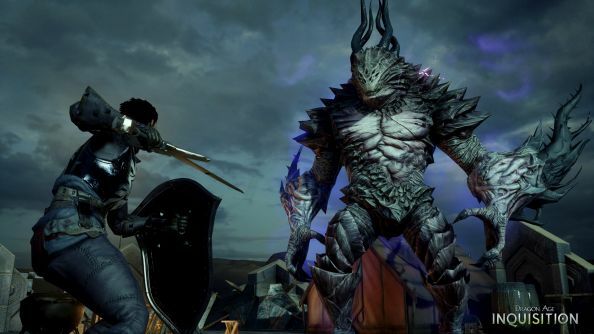 Until then, you’ll have to make do with our list of the best RPGs. This will be an entirely new IP in an original world, EA revealed during a conference call tonight. It’ll also launch before March 31 next year, meaning BioWare have been tinkering on this alongside Mass Effect: Andromeda. The project started to take life in 2012, when BioWare started “crafting a new universe full of new characters, stories, and gameplay”. “Our ambition is simple: draw upon 20+ years of development knowledge and lessons to create something fun and new for you to enjoy with your friends,” says Flynn. The new IP was teased on a BioWare employee’s t-shirt at GDC, but nobody noticed. Hopefully we get a flash at this year’s E3.